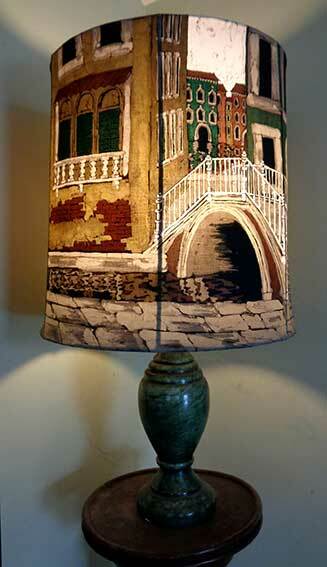 I have developed a technique of colour washes for the Venetian buildings used in this pair of lampshades. First I wax the white areas and dye the stone colour. After I have waxed in the stonework, the window surrounds and the bridge details, I paint stripes of Venetian colours for the houses. 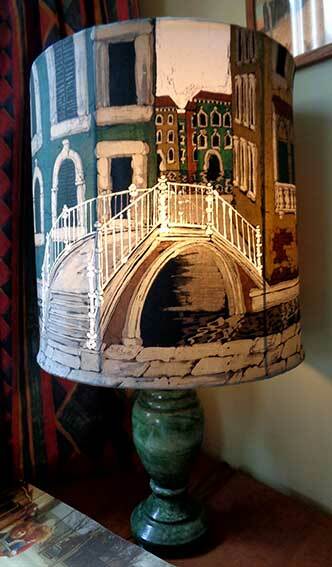 I made these two lampshades for myself. 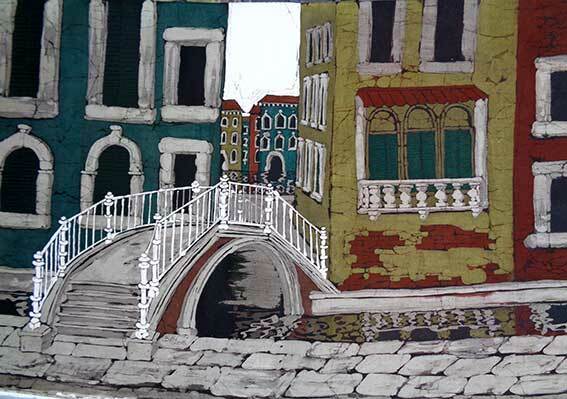 They are a mirrored pair and live in my sitting room, reminding me daily of the beauty of Venice and of many happy memories of trips there with my mother. These are made for the largest frame I have and when the work is laid flat, each one only just fits on my work light-table.